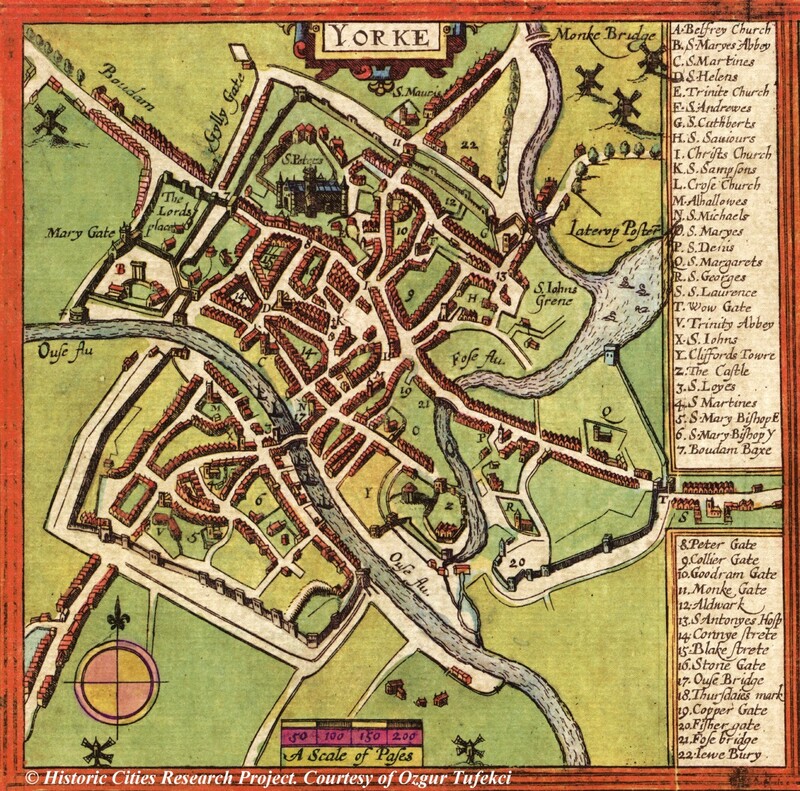 The Romans started York around 71 AD. They built walls around their fort and then around the city that grew up on the other side of the River Ouse. Big bits of the walls of the Roman fort can still be seen and up to half of the rest are in the ramparts under the present walls. 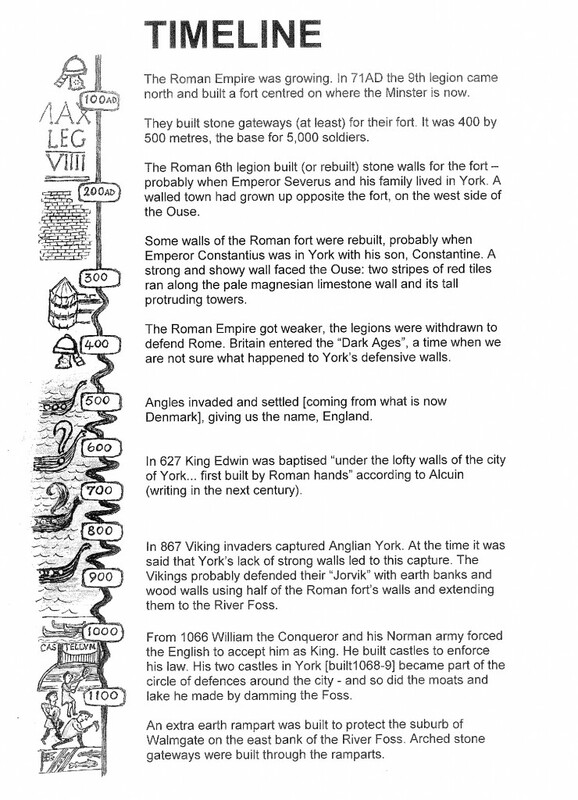 400 years later there were new invasions: Anglian York developed, then Viking York in the 9th century, then Norman York in the 11th century; over this time the Roman walls fell but ramparts grew. 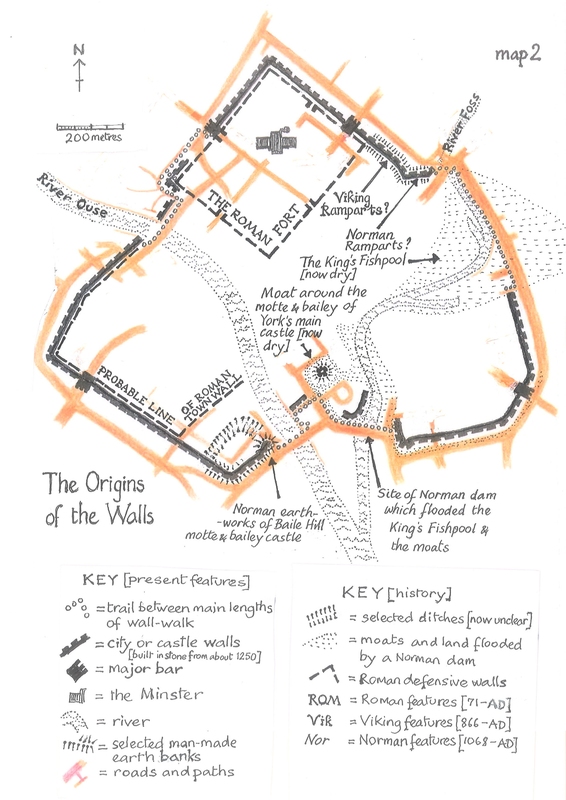 About 900 years ago, the times we call “the Middle Ages” began –these were when the present Walls were built –mainly to protect York against the Scots. Around 500 years ago the Middle Ages ended and cannon were making military walls less useful; in spite of this the Walls were strengthened in the 1640s for the English Civil War. The Walls were seriously attacked and damaged in this war of King against parliament –but luckily a conditional surrender of the city stopped the damage and the parliamentarian victors arranged their speedy repair. 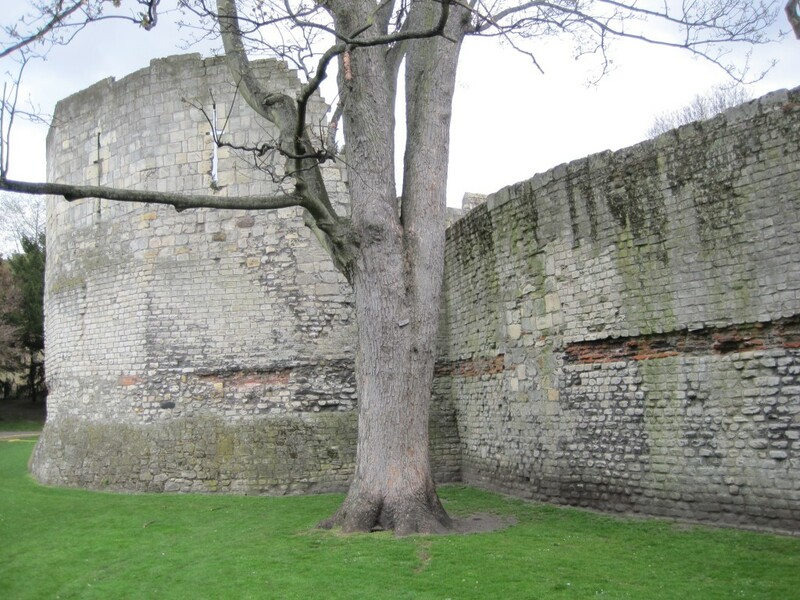 About 200 years ago there was another sort of battle being fought in York –over whether the Walls should be knocked down to open up the city to traffic and fresh air. 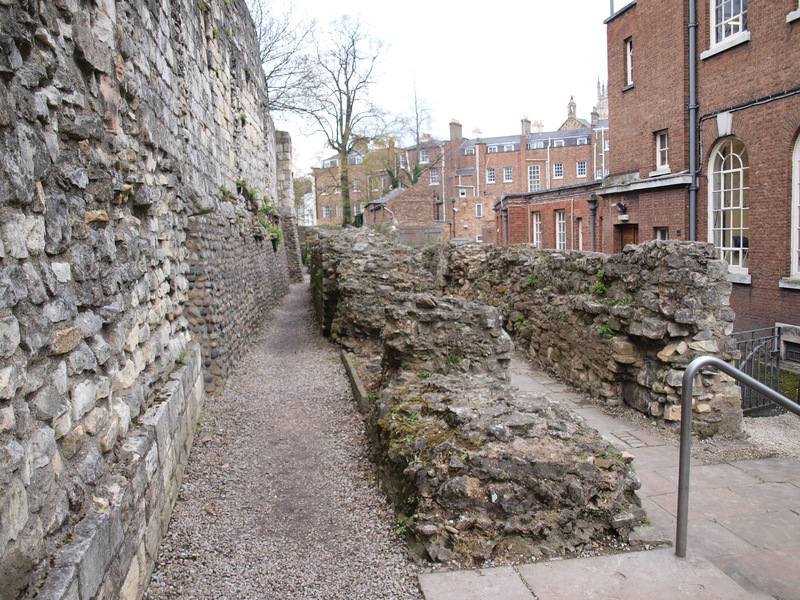 During Victorian times a compromise developed: small bits of wall were demolished and new arches were built through the Walls but most of the Walls were repaired and opened as a footpath. Little has changed since then. A more detailed history of the Walls is in the form of a time line. Sixteen stories from the history of the Walls are separately labelled as stories at the end of the descriptions of a relevant section of the trail. 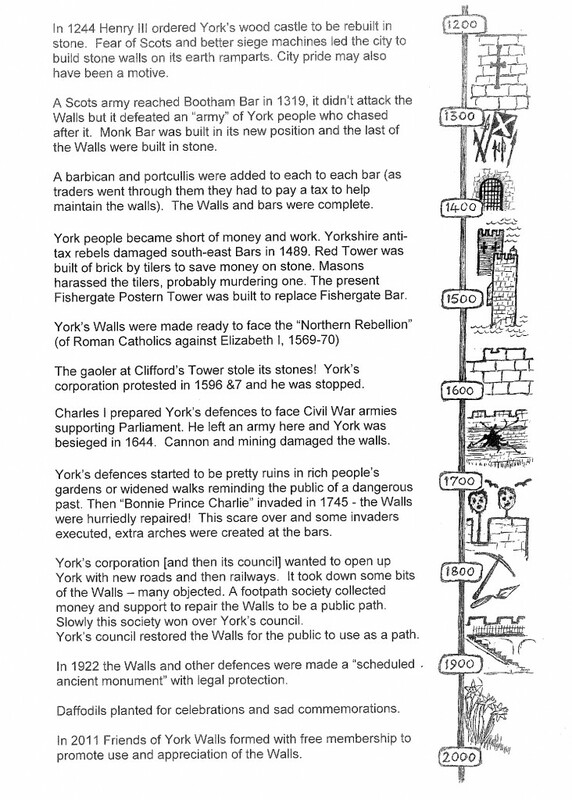 Layout, text and all content is copyright to the Friends of York Walls.